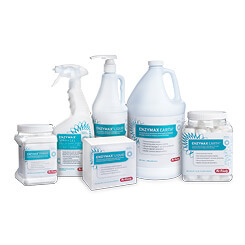 Enzymax® Dual Enzyme Ultrasonic Detergent is specifically formulated for efficient ultrasonic cleaning or pre-soaking of cassettes and instruments. 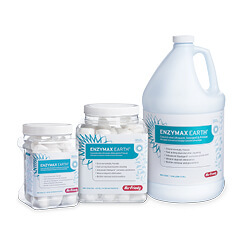 Enzymax Earth™ Dual Enzyme Ultrasonic Detergent offers the same superior cleaning attributes as Enzymax with an increased awareness of our environment. 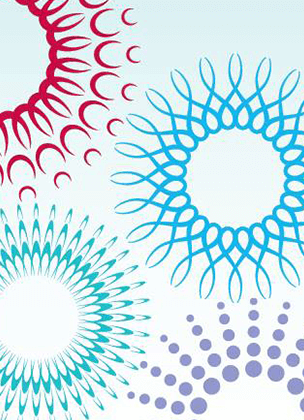 All Enzymax Earth products are biodegradable and phosphate free. Hu-Friedy’s line of green detergents present less bioaccumulation potential and contains enzyme stabilizers that are safer for the environment. Flocklined nitrile utility gloves for use when cleaning and processing instruments. Puncture and chemical resistant with a non-slip grip. Steam autoclavable to 250°F (121°C) up to five times. 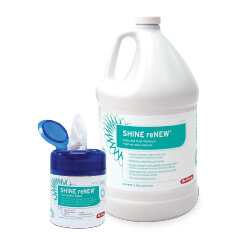 Effectively removes stain and rust, restoring the luster to stainless steel and tungsten carbide instruments.